Indian Premier League 2018 (IPL) is back and the wait is going to be over on 7th of April. 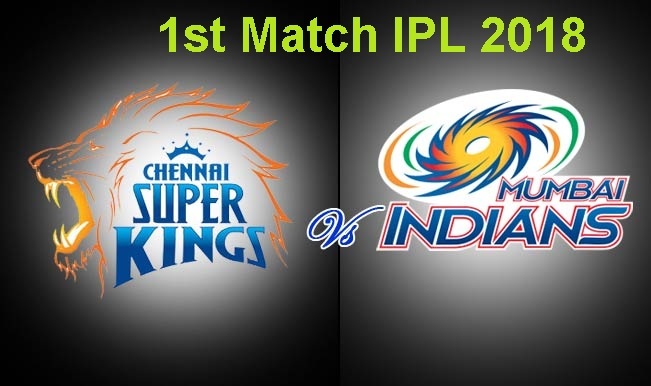 Followed by the opening ceremony will be held the much-awaited match between Chennai Super Kings and the last year’s defending champions Mumbai Indians. Chennai Super Kings is going to return after 2 years of suspension by getting the ban on the lifted. The Chennai Super Kings’s team will be led by none other than captain cool Mahendra Singh Dhoni and the Mumbai Indian’s team by the rising star Suresh Raina. Both the teams are utter rival of each other on the field with CSK having won the IPL trophy twice and the MI’s three times. They have each other in IPL in 22 matches till yet with MI winning 12 matches and CSK 10 times. It was in 2015 these 2 teams last faced each other on IPL ground. It is not possible for everyone to visit the stadium to watch the matches or sit at home leaving their work in front of the TV. So, for all those cricket lovers who do not have time to go to the stadium or sit in front of TV, why to miss your favourite matches when there is the option of online streaming. Hotstar the online app and website of Star Inida owns the digital streaming rights for IPL to air all IPL matches live. For sports lovers Hotstar has come up with the “All Sports Pack” at Rs.299 valid for a year. This pack allows you to stream unlimited IPL matches along with other sports matches streaming on Hotstar. Airtel or Reliance users do not even need to spend any money to watch their favourite CSK vs. MI match tomorrow and other upcoming IPL matches, they can stream live on Hotstar for free. All they need to do is download the Airtel TV or Jio TV app on their respective smartphone and register yourself and when they click on the IPL match, they will be automatically taken to Hotstar anded view the live streaming. Just all that you need to have all Airtel and Jio users is Airtel TV app/ Jio TV app and the Hotstar app downloaded and registered on your smartphone. For all non Airtel and Jio users, sign up on Hotstar and purchase the 299 All Sports Pack in order to enjoy uninterrupted live streaming of IPL 2018. If you do not buy the pack then in every 10 minutes Hotstar would prompt you to ‘sign up for the pack breaking the flow of the match. So, in order to watch tomorrow’s MI vs. CSK match without any interruption sign up in advance and be all prepared cheering for your favourite team.